My opinion is yes. This post will explain how I came to this conclusion. Thanks to reader Bricks for bringing up this topic. 2) Forward P/E Ratio – Unlike the trailing P/E ratio, the forward P/E ratio uses projected future earnings. Of course nobody knows how much money companies will make in the future, but this metric provides a sentiment of how profitable the market feels about the next few earnings seasons. According to a FactSet report, the forward P/E ratio of the stock market is 16.5, which is above the long-term average of 14.2. So based on this data stocks are currently about 16% more expensive than what they should be. 3) Forward P/S Ratio – The price to sales ratio compares the total market value to revenue. It usually moves in the same direction as the P/E ratio but can provide a smoother, more accurate depiction of the market’s valuation (see yellow line in chart above.) This ratio is currently over 1.6x for the S&P 500, which suggests the market is overpriced, even compared to 2008 levels. 4) Price Change vs Forward Earnings Change– The price of the stock market is mainly determined by its future profitability. But recently the price has diverged away from future expected earnings which suggests stock prices are too high. 5) Shiller P/E Ratio – Also known as the P/E 10 Ratio, this ratio measures the price of the market to its average earnings from the past 10 years. Unlike the regular P/E ratio, the P/E 10 ratio is less prone to wild swings in any one year because it uses a 10 year moving average of earnings. 🙂 The market is currently trading slightly above 25x using this metric. This is abnormally high because over the last century there has only been 3 other times when the ratio has gone above 25x. 6) Operating Margins – When margins are squeezed companies will find it harder to increase profits since they are making less money on each unit of item or service sold. Combined with lower earnings forecast mentioned in point #4 above, a decreasing operating margin suggests companies should expect to see slower future growth. 7) EV / EBITDA ratio – The Enterprise Value (EV) is equal to: Market Cap + Total Debt + Preferred Stock + Minority Interest – Cash. The Enterprise Value to EBITDA ratio accounts for the market’s debt level. With so many corporations issuing debt to buy back stock or take over smaller companies, it’s important to keep an eye on their overall debt liabilities. Much like the P/E ratio, the higher the EV/EBITDA ratio, the more expensive the market is. Currently this ratio sits at 11.5x, which is quite high by historical standards. These ratios outlined above are not perfect indicators by themselves, but together they paint a generally accurate picture of what’s happening in the markets now. The key takeaway is that the stock market is currently overvalued. But that being said, I don’t plan to sell any of my stock holdings. Just because a market is overbought doesn’t mean it will correct soon. The housing market in Toronto has seen increased home prices for pretty much 20 years in a row and it’s still climbing, lol. 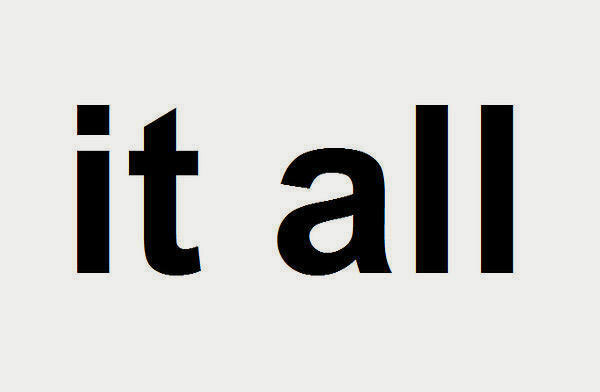 It’s hard to explain why, but this picture says it all. ? Most people cannot tell if this cat is going upstairs or downstairs. I personally have felt that the stock market has been overvalued for several years now, especially since savings accounts & money markets have been lackluster for a better choice of words. Where else can you get a decent return on your money, other than peer lending platforms, etc? The average Joe puts money in the stock market because it’s easy & we’ve all been conditioned to do so with retirement accounts & the countless marketing efforts of the various investment houses. Thanks for the stats, I’ve been interested in this but have never looked into it. I’ve looked into some of those peer lending platforms. They seem pretty interesting. Most are only for U.S. residents. There is always oversold stocks or overbought stocks. Something like GIS, NOC, JNJ you always see the PE over 20. I’ve been selling my positions to fund my rental property in my hometown. I still like these quality stocks. Even when the market was down 10%, my return would only be down 5% due to dividends, and reinvesting dividend. When you don’t sell and just look at the growth of dividend strickly, you don’t see that you lose any money or some stock are overvalued. Jason Fieber says, he’ll earn $10k this year, it’s doesn’t matter how the market perform as long as he reinvest that $10k, next year it’ll be $10.4k and so on. The market has corrected some as some oil and gas are down 50-70%. I use Walmart and American Express as indicators, they are still down 30%. Mr. WRI is holding all cash hoping another March 2009, it’s probably not going to happen unless there is a big catastrophe happen on American soil. Don’t give away my secret so easily lol. The problem when comparing with historical data is that you don’t take the context into account. I think the current prices are driven by the low interest rate. A P/E of 25 might look like crap if you can buy a 6% governement bond but with today’s rate the game has change. A 10 years Ontario bound will pay you 2.35%. Vanguard VCN ETF will give you are 2.68% yield on the dividend alone and you have growth potential. I don’t think stock valution will go back to normal until the interest rate also goes back to normal. Just like most other things in life, it’s important to look at companies individually rather than generalize everything into markets or sectors. 🙂 It would be interesting to compare these metrics like P/E and P/S ratios for the Canadian stock market. great, in-debt article, it really says IT ALL.